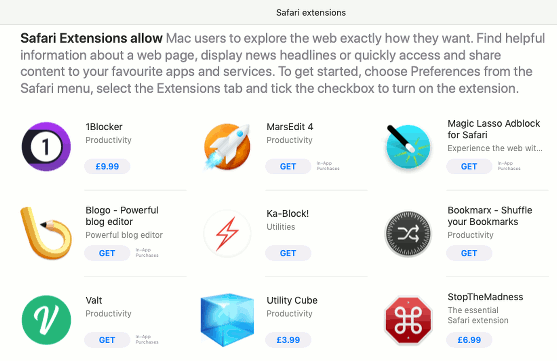 There isn’t a huge range of extensions for Safari on the Apple Mac and there is nowhere near the number that are available for Chrome and Firefox, but there are a few. Some of them are quite useful and the collection will no doubt grow over time. 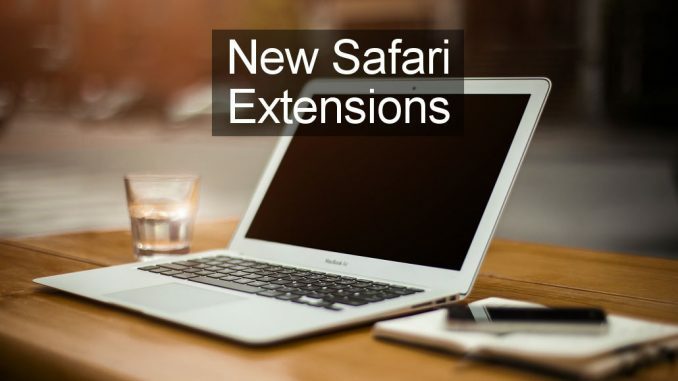 Support for old extensions has gone and selecting Safari > Safari Extensions used to take you to a Safari Extensions Gallery website where old style plugins could be browsed and installed. Select this menu option in the latest Safari and macOS Mojave and instead of a website appearing, the Mac App Store opens and displays the Safari Extensions section. The App Store has a large graphic and introduction on the left and a single column of extensions on the right. It is tedious and slow scrolling through the single column of extensions, but if you narrow the width of the App Store to the minimum, the view changes to a grid style with multiple rows and columns of extensions. You see more on a page and you get a better overview. The previous version of Safari and macOS had partially transferred to the App Store. Some extensions were in the old gallery and others were in the store. Now they are all exclusively in the store. One advantage for users is that all the extensions are in one place. An advantage for developers is that extensions can be charged for, with Apple taking its usual cut of the profits of course. Click the Get or the price button in the store and the extension downloads and installs. 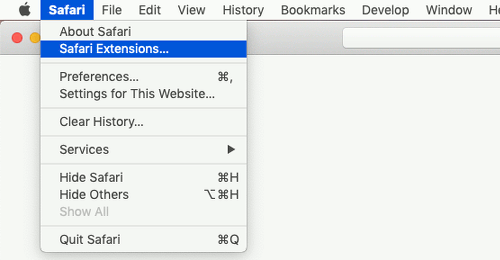 Open Safari Preferences and select the Extensions tab to see all the installed extensions. Checkboxes next to them are used to enable or disable them. There is a really odd feature, or lack of feature here and if an extension is selected in the list on the left, information about it is displayed on the right. There is also an Uninstall button which you might assume uninstalls the extension, only it doesn’t. I installed four brand new extensions from the Mac App Store and when the uninstall button was pressed, a that happened was a message appeared stating that it is an application and did I want to see it in Finder? The Uninstall button does not work and extensions cannot be uninstalled from within Safari. 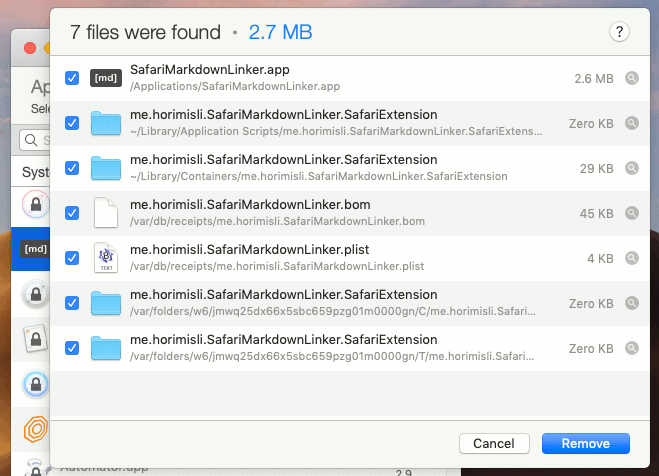 Open Finder and the extensions are listed in the Applications folder just like other apps. Presumably Apple wants us to manually drag the extension apps from the Applications folder to the Trash to remove it. I don’t know how cleanly this uninstalls them. Are there files left over cluttering up the disk? I prefer to use AppCleaner to find all traces of an app and delete them. In the case of extensions, it seemed to find several files and folders in various locations in the Mac’s storage. Tick all the boxes to remove everything. Resetting the way that extensions work may have been necessary, but it does mean that a lot of extensions have now gone. The new extensions may take time to grow, so keep an eye on that part of the Mac App Store. It is worth taking a look to see what is new every now and then. A new feature in Safari and macOS is that the performance of extensions is monitored and if any adversely affect the performance of browsing the web, they will be disabled. Also, Safari disables plugins that cause it to use too much battery power on MacBooks. Those are useful features. Instead of waiting, perhaps forever, for your favourite extensions, you could always switch to Chrome or Firefox. The huge range of extensions and add-ons are probably their best features.